This Special Report explains how to deal with awkward and embarrassing workplace problems. We give pointers on how to approach these problems in a professional and legally safe way that won't take up much of your time. 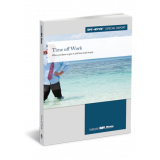 Supported by a series of ready-to-use documents, this Special Report will help you regain control of all those difficult and embarrassing workplace problems. 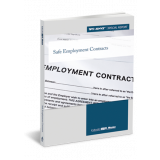 This Special Report shows you how to put together an employment contract that is safe and affords you the most protection. You'll get a clear overview of all the key aspects you should take into account. Employment status: does it matter? In essence, this Special Report offers all the information you need to meet the requirements of employment law whilst ensuring you retain maximum flexibility for your business.